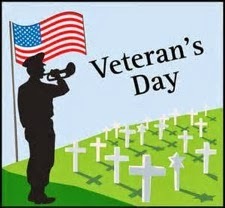 We Honor You on Veterans Day! The Farmer Veteran Coalition (FVC) is a not-for-profit based in Davis, CA, to mobilize veterans to feed America. FVC provides meaningful and healing vocations to Iraq and Afghanistan veterans, while also rebuilding our population of small farmers for food security in America. FVC connects military veterans with opportunities for employment, training, job opportunities, an active support network of mentors, a resource center, and an empowering women’s program. Strategic grants to launch farm/ranch operations have been available through the Bob Woodruff Fellowship Fund for several years now. “We believe that veterans possess the unique skills and character needed to strengthen rural communities and create sustainable food systems for all. We believe that food production offers purpose, opportunity, and physical and psychological benefits,” the organization posted on their website. Farm Credit System is a series of farmer-owned lending associations that handle about half of our nation's agriculture. Regional associations work with FVC to help farmer veterans with financial literacy, business planning, and when qualified, loan acquisitions. A growing partnership between the Farm Credit Council and Farmer Veteran Coalition aims to include and engage every Farm Credit institution to help introduce veterans and military communities to the business opportunities agriculture offers. Their guide provides a simple framework outlining the many different ways to participate in this new partnership. and ranchers our nation so urgently needs. Northcutt Ranch in Los Corners (Napa Valley), CA, a veteran owned and operated ranch exploring viable options in sustainability, organic farming, livestock, and a family-oriented ranching lifestyle. California: Veterans’ Sustainable Agriculture Training (VSAT) at Archi’s Acres in Valley Center, CA which trains transitioning service men and women to be successful in the sustainable agriculture industry.